OEM Lincoln Continental Parts at Wholesale Prices! The Lincoln Continental is a mid-sized luxury passenger vehicle that dates back to the 1950's. 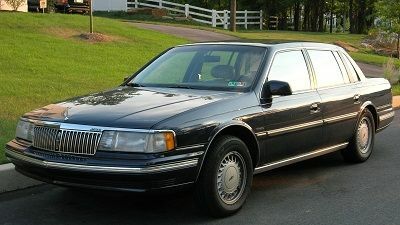 Because the Continental surrounds you with the latest amenities and is comfortable ride, you make sure that your Continental stays in top shape by replacing worn out parts with OEM Lincoln parts that are made to last as long as the original parts. Interior Accessories – If you want to upgrade your interior with a new console or replace worn out parts, we carry a selection of interior accessories that will increase your resale value. Oil Filter – when you change the oil in your car, change the oil filter at the same time and extend the life of your fresh oil. We have oil filters, air filters and fuel filters. Wiper Arms – Should the wiper arms on your vehicle become damaged, they will no longer be able to keep the blade on the glass. We have arms, blades and washer pumps. When you buy your parts from us, you get OEM Lincoln parts that have been sourced directly from the factory. If you have any questions about the parts you need, then call us at 585-475-1064 and speak to our experienced parts staff. Call now.